Harrington Electric Hoists feature 60 Minute Duty Rated Motors. 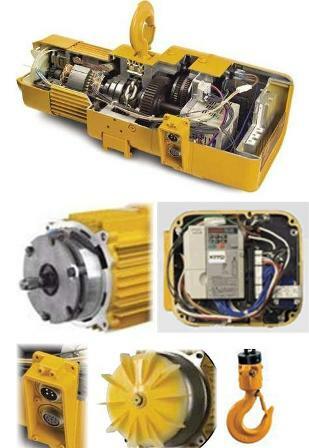 Motor increases performance with Class B Insulation, cooling fins and standard thermal motor protection. 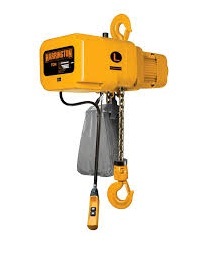 Harrington Electric Chain Hoists are equipped with "The Guardian" Smart Brake Technology which is a fail-safe maintenance free brake with a 10 Year Warranty. 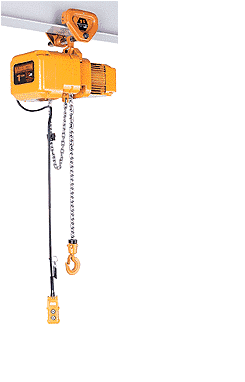 All Harrington Electric Hoists feature a Friction Clutch which protects the hoist from damage and prevents over winding. 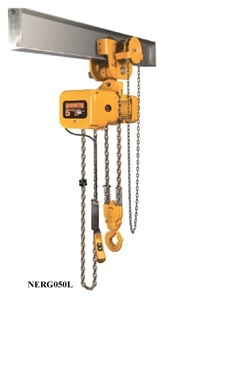 The Optional Mechanical Load Brake available in ER Model Hoists acts as a secondary brake in case of motor brake failure. 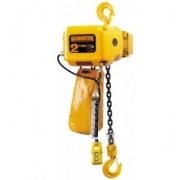 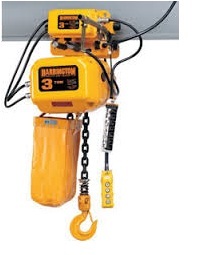 Harrington Hoist offers 5 pockets as a minimum which reduces chain vibration and increases chain life.